So, I'd like to thank you all a lot for for your comments on the Best Of 2010-competition. The lucky winner this time was commenter no43; Phoenix Rising! Her fav post was this one. 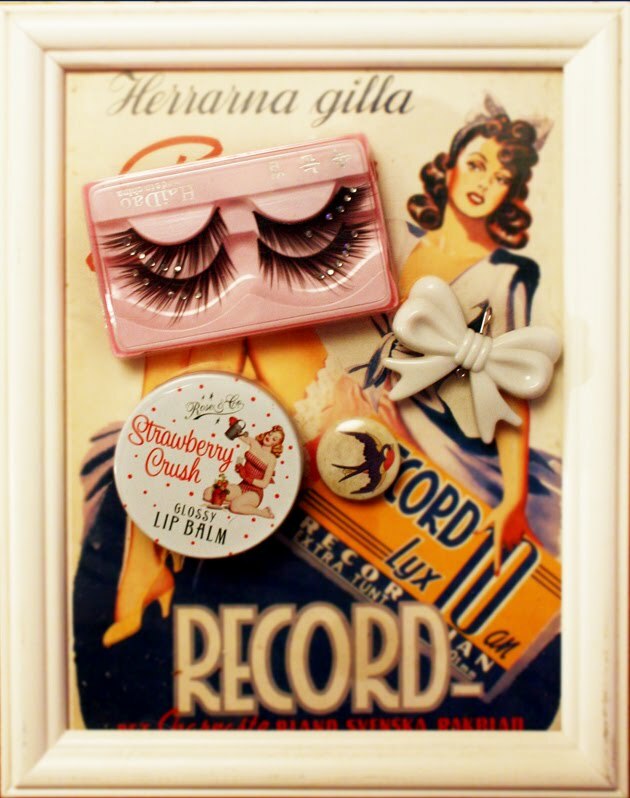 You will receive a small little pinup-package I out together - a set of false lashes, a strawberry pin up lip balm, a swallow pin and a bow pendant. I love reading your blog and think that you're impeccable so I've nominated you for a Stylish Blogger Award! Thank you so much! These gifts are wonderful! i enjoy reading your blog and am very thankful! Lacey : I always get a bit sad that everyone can't receive a price... But there's another chance coming up soon! Phoenixrising: glad you like it :) Did you get my email? Could you mail me your contact details so I can send the gift to you ? I sent an email to freelancersfashion@gmail.com as I did not get an email....you can get me at phoenixrising@bust.com...Thx. again!